The Office is my favorite show of all time. I’ve spent countless hours watching and rewatching every episode. For years it has been the primary reason I have maintained my Netflix subscription. 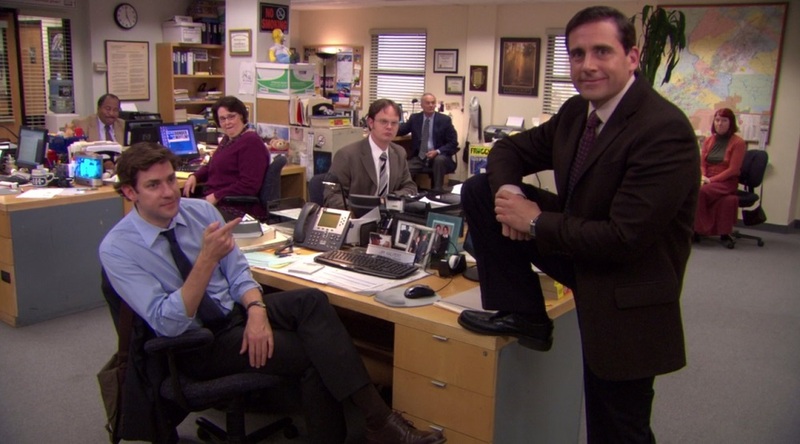 There’s just something satisfying and comforting about returning to Dunder Mifflin to spend time with those characters, to laugh at all their pratfalls and misunderstandings, or to be moved by the relationships that form and evolve over the course of the series. They also sometimes end up portraying the different types of people you end up working with in an office workplace all too accurately. The latter point is one I’ve seen used as reason why some people can’t stomach watching the show. There are even those who now find the show unwatchable given all the cases of misogyny and other such social injustices in the workplace that came out in 2017. Nevertheless, The Office remains one of the most beloved sitcoms ever created and still has a loyal fanbase. 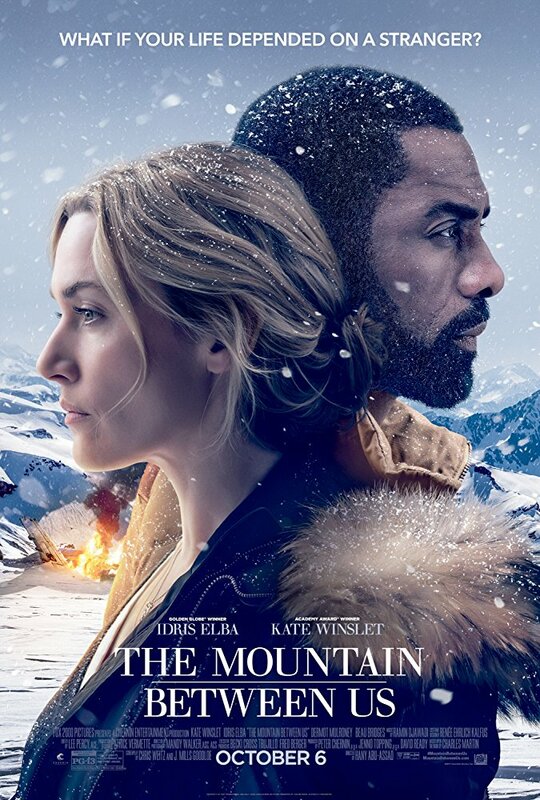 The Mountain Between Us seemed like a good idea on paper. 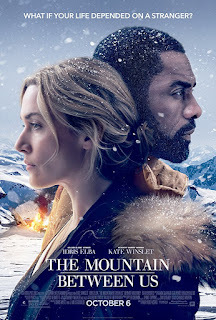 It has notable Palestinian director Hany Abu-Assad (known for his 2005 Oscar-nominated film Paradise Now) and veteran cinematographer Mandy Walker behind the camera, and big name actors Idris Elba and Kate Winslet in front of it. It’s based on Charles Martin’s 2011 romance-disaster novel of the same name (that’s right, I said “romance-disaster”). It’s a story about the bonds built between people enduring a harrowing, life-threatening situation for an extended period of time - which could have been interesting if it didn’t feel like it were being strung together by a series of cliches. This is one of those movies that washes over you and completely immerses you in the world it creates. 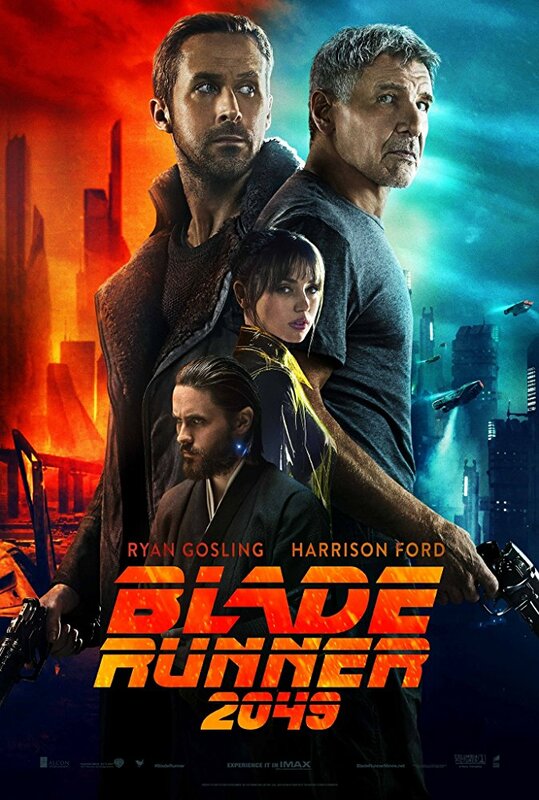 It's true to its 80's vision of the future setup in the original film, but still manages to feel believably futuristic from a 2017 perspective. Deakins's cinematography here is gorgeous. The soundtrack is wonderfully moody and atmospheric. It's not quite Vangelis, but it's close enough. I seriously can't believe that it's doing poorly at the box office because it deserves to do well. The story and characters are all solid. The only real problem is that it's long and can feel like it's dragging from time to time. But I was so immersed in the experience that I never really cared. People will be talking about and analyzing this one for years just like the original. And it will certainly serve as inspiration for future filmmakers, video game makers, and other story tellers just like the original has. You will absolutely regret not seeing this in the theater. Go see it! This is one of those ridiculous, over-the-top, action comedies that's just a lot of good, dumb fun. It's somewhere between James Bond and Austin Powers, but it clearly exists to riff on those sorts of British spy films. Matthew Vaughn is a master of the composite shot utilized for action/fight sequences made to look like one long shot that moves smoothly between slow motion and normal speed, with a camera somehow able to capture it from all angles. While he doesn't quite manage to top the two most memorable sequences of the original (the church and the exploding heads), he still manages a wildly entertaining film that's likely to turn off as many people as it wins over. The way it turns those people off is by a needlessly graphic scene of intimacy clearly meant to make people say, "I can't believe they did that." Egerton, Strong and Firth are all great fun, but Julianne Moore's caricature of bond-esque villain seems to be having the most fun. Halle Berry, Jeff Bridges and Channing Tatum are completely wasted in this film, but Pedro Pascal nearly steals it - as does Elton John believe it or not. You probably won't be expecting it, but Elton is hilarious in this film. Vaughn had a much longer cut of the film that surely accounts for where this film feels hacked off at parts. It leaves a few strands hanging and rushes through others. 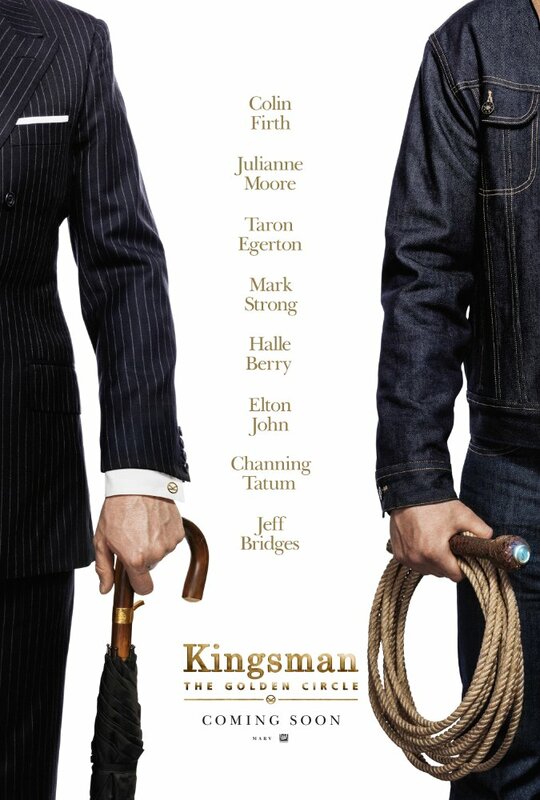 All of this is to say Kingsman 2 isn't the most satisfying piece of storytelling ever put on film, but it sure is a lot of fun. Admittedly, I took way too long to get around to seeing this film. It's funny, charming, romantic, moving, and everything else people have been saying about it all year long. I love the cultural aspects of the film and it still manages to out-romantic comedy your average romantic comedy. 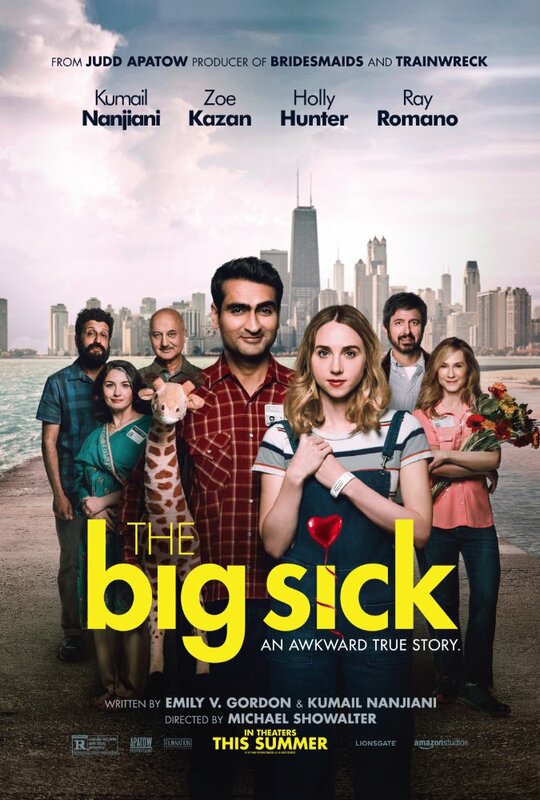 I've been a fan of Kumail Nanjiani since Silicon Valley began, and the fact that this film is based on his real life only makes the film that much more touching. Also, Holly Hunter is fantastic as the mother of Kumail's sick girlfriend, and believe it or not I even enjoyed Ray Romano as the father. He plays a very subdued version of himself here so even people who don't like him shouldn't be bothered too much. It always says a lot for a film's characters when I can honestly say I'd like to have spent more time with them. The film's 2 hour runtime goes pretty fast. I could have sat with these people for at least another half hour. The Big Sick is one of the best romantic comedies I've seen in some time. Just thought I'd give an update in case anyone was wondering where the content on this site went. Earlier this year my work schedule changed and I became busy spending my free time trying to get back into college and taking care of a few personal things, so my posts on this site became increasingly irregular - often with just the weekly "Opening This Week" post being the only thing I had time to write in a given week. However, now that the school year has officially started, my free time has only grown increasingly limited. As a result, I'm doing away with the weekly "Opening This Week" post because I simply don't have the time to put that together anymore. As far as reviews go, I'd still like to do some reviews if I can find the time to sit down and watch a movie and write something up for it, but I'm not sure how often I'll be able to. This blog initially began as both an excuse to watch more movies and practice writing, but over time became something of a creative outlet and a method of engaging with film criticism - a subject that has always interested me and inspired me to become a Cinema and Digital Video Production major during my first bout with college. Incidentally, the video production portion of that major lead to a job at a local TV station that, combined with my newfound love of writing, has inspired me to head back to college for a Journalism degree. With any luck I'll be able to pursue a new career of writing for the web - perhaps even writing about movies, games, TV, or other similar "arts and culture" topics I've spent time writing about on this blog over the years. Thanks for reading this blog! And be on the lookout for the occasional post in the future. Follow me on all the social networks where I'll link to anything I end up writing. Steven Soderbergh may have been trying to retire from feature filmmaking, but the existence of Logan Lucky proves that retirement was short lived. It's also a return to the heist genre that may be his most well known contribution to cinema. The Ocean's Eleven movies may not all be well liked, but they're all certainly well known, and the first one remains an excellent piece of entertainment. 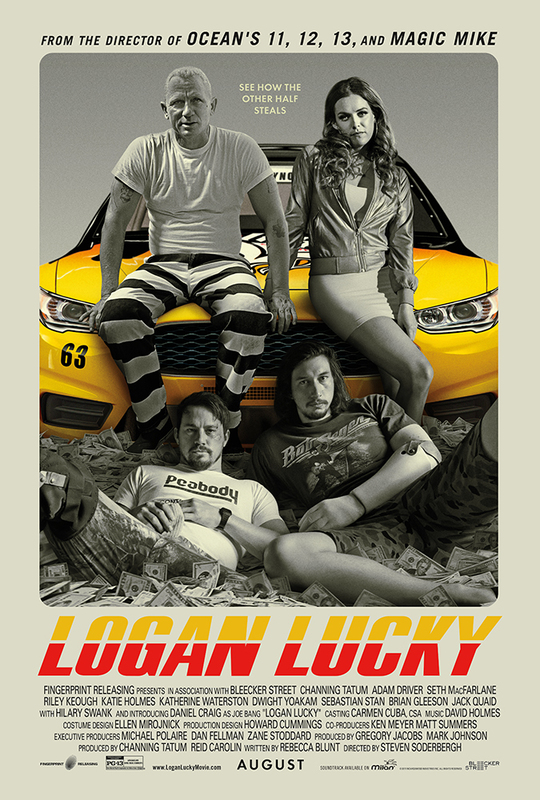 If the early reviews are to be believed, Logan Lucky is "high-octane fun - and proves he hasn't lost his ability to entertain." It's sitting at 94% on Rotten Tomatoes. 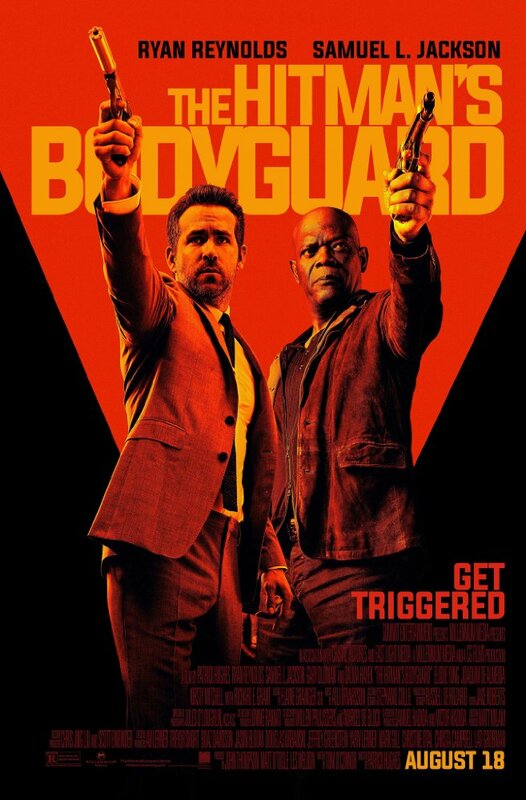 And now for a film that is about as star studded as Logan Lucky, but by a far less acclaimed director - The Hitman's Bodyguard is a buddy action comedy in which two rivals (Ryan Reynolds and Samuel L. Jackson) teaming up to take on a merciless Eastern European dictator (Gary Oldman). It's seen a very mixed critical reception so far with words like "generic" and "stereotypical" being thrown around. 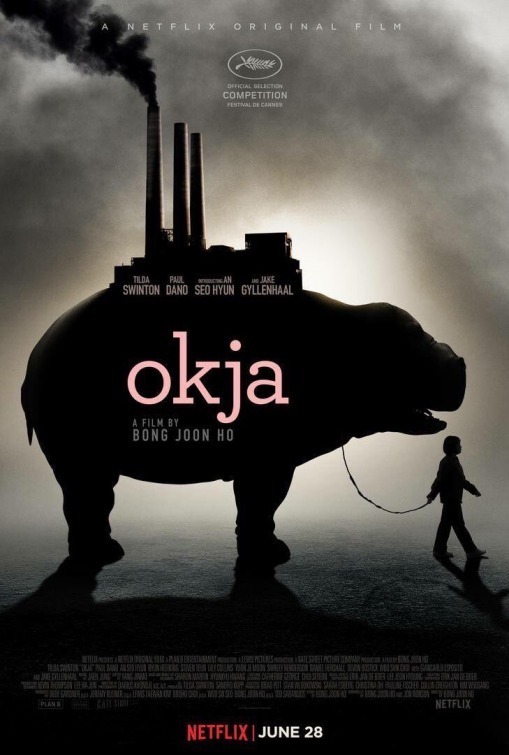 While I’ve only seen a couple of Bong Joon-ho’s films, I’ve been impressed by his bold style. He has the unique ability to take on dark subject matter with an often comedic tone. The Host took a light-hearted approach to the monster movie and worked. Snowpiercer, despite being a dark, gritty film based on a graphic novel, took a somewhat similar approach by featuring a few over-the-top characters - the most notable one played spectacularly by Tilda Swinton. His films are also usually inspired by real world issues. The Host dealt with irresponsible use of chemicals and other pollutants that kill and deform wildlife. In Snowpiercer, he took on global warming and the great divide in social classes. His latest, the Netflix exclusive Okja, deals with solving world hunger by genetically modifying animals. As the title suggests, Creation is a prequel to 2014's Annabelle, and the fourth film in The Conjuring series. 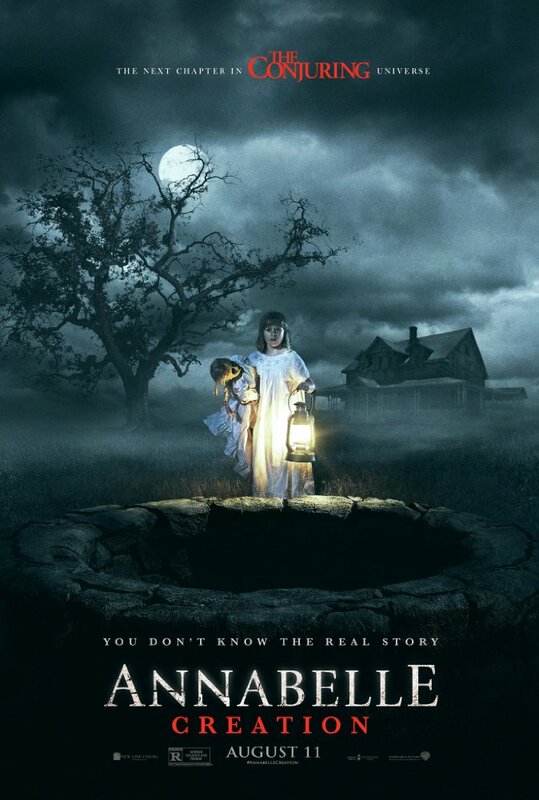 All of the films in the series have done well at the box office, and other than the first Annabelle film, they've all been fairly well received by critics - including Creation. However, as someone not very fond of horror films, I take one look at that creepy doll and I'm out. Perhaps that's a sign that it's doing something right. Director Destin Daniel Cretton pairs with Brie Larson again for the follow up to his excellent 2013 indie film, Short Term 12. It's based on the memoir of the same name by Jeannette Walls, recounting her poverty-stricken upbringing and her relationship with her unconventional and rather dysfunctional family. Cretton could very well be finding a consistent theme for his work. 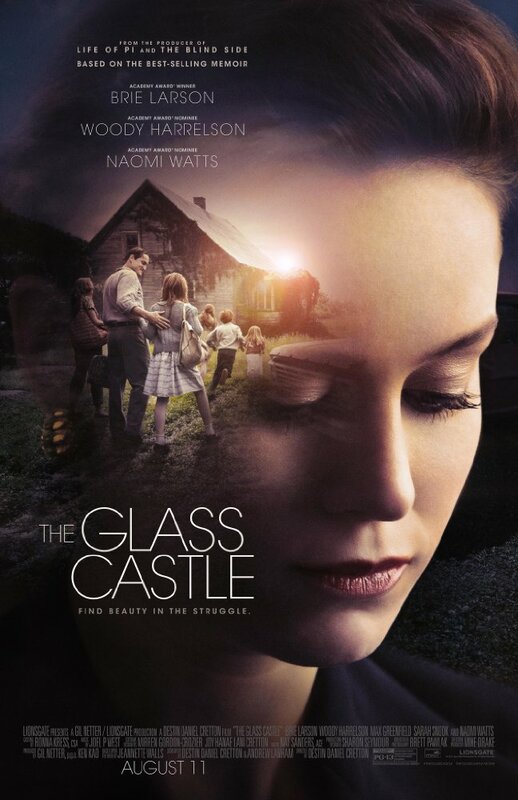 However, unlike Short Term 12, which was universally praised, The Glass Castle has received some mixed early reviews. The jury is still out for now, but there's reason to be concerned. The first Nut Job (2014) movie wasn't a huge box office success, but it did pull in a nice profit for the newly formed Gulfstream Pictures. Despite the poor reviews of that first film, they've seen fit to produce a follow up with just as deep a cast. There haven't been any early reviews so far, but I'd keep expectations low. However, as far as the box office goes, it wouldn't surprise me to see it do fairly well. The Emoji Movie has disappointed and Despicable Me 3 has been out for over a month now. 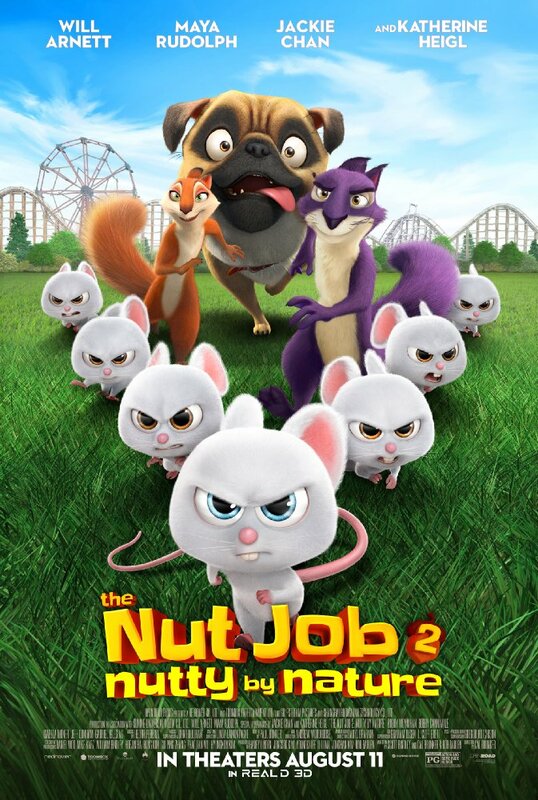 The Nut Job 2 could benefit from kids wanting one more trip to the theater before school starts.